Home / HORROR FILMS / MOVIE TRAILERS AND INFO / TALK OF THE TOWN / "Annabelle 2" Movie Teaser Trailer Finally Released! "Annabelle 2" Movie Teaser Trailer Finally Released! A few days ago, Warner Bros. Pictures has released the movie teaser trailer for the much-awaited sequel to the worldwide hit spin-off to the Conjuring evil character, Annabelle. This time, the scary looking doll will give you more scare than ever and will take you to the next level as the evil in her will continue to haunt you. In "Annabelle 2" movie, the possessed doll targets a nun when she and some of the orphans were asked by a dollmaker and his wife to stay in their house. The film stars Stephanie Sigman, Talitha Bateman, Lulu Wilson, Philippa Anne Coulthard, Grace Fulton, Lou Lou Safran, Samara Lee, Tayler Buck in her feature film debut, with Anthony LaPaglia and Miranda Otto. David F. Sandberg of "Lights Out" movie directs the film from a screenplay by Gary Dauberman. 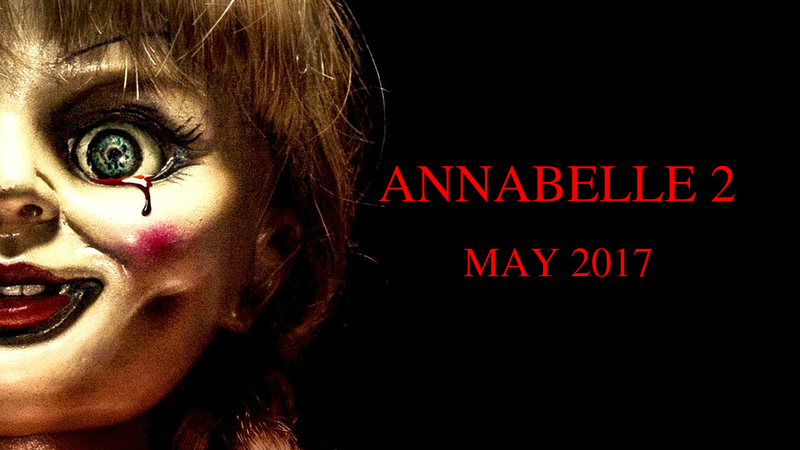 "Annabelle 2" movie is set to have a tentative premier on May 2017. Below is the short teaser trailer for the upcoming horror film, "Annabelle 2".